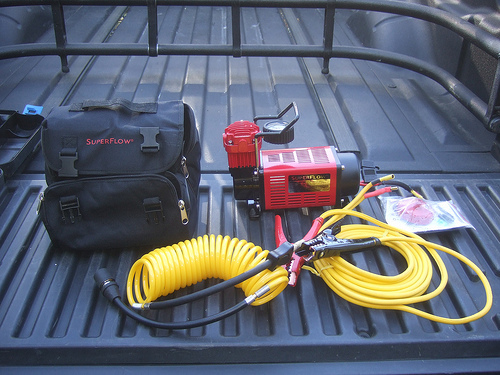 I bought the Super Flow Portable AirCompressor MV50 because of my upcoming trip to Pismo Beach. To be on the safe side I needed something to pump up my tires after I air down. Since I have the custom 20 inch wheels with the stock TPS sensors it is impossible to pump up my tires without a head that has a 90 degree turn. 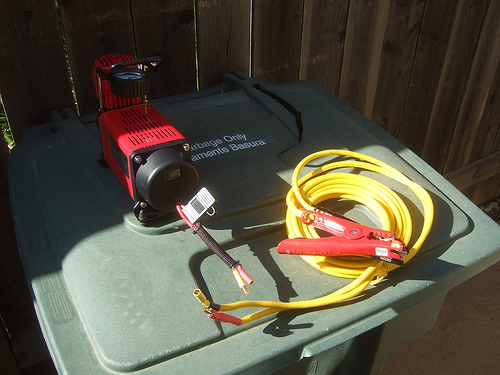 After reading a lot of reviews online I found that this is the best Portable Air Compressor for the money. I could have spend over 4 times the cost for a better compressor but only to perform a little better. The only flaw or complaints I read online is the melting fuse holder and power cable. 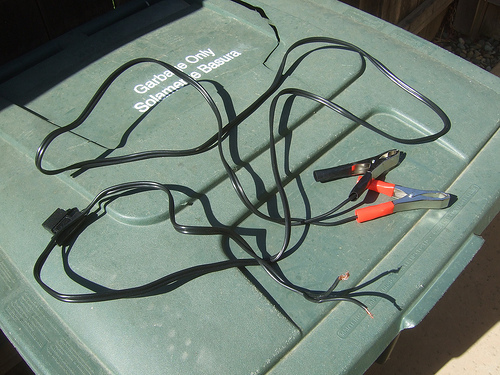 So I assume the amp draw far exceeds the low gauge wire that it come with so went to walmart and bought a set of jumper cables for less than $10 and use it as the power cable instead. And here is the new jumper cable as my power cable.